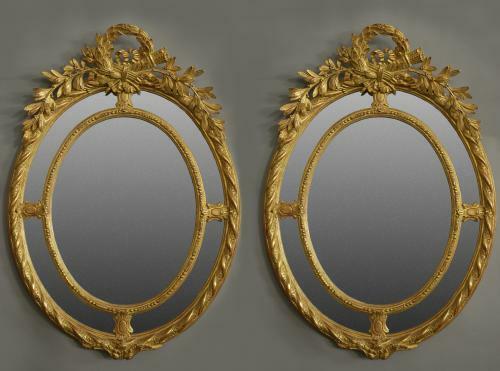 These mirrors consist of a central laurel wreath and ribbon decoration to the top with cascading foliage to either side. The outer oval frame has a twist design with an inner oval frame of carved ball decoration. These mirrors are in very good condition, the mirror plate also being in very good condition.